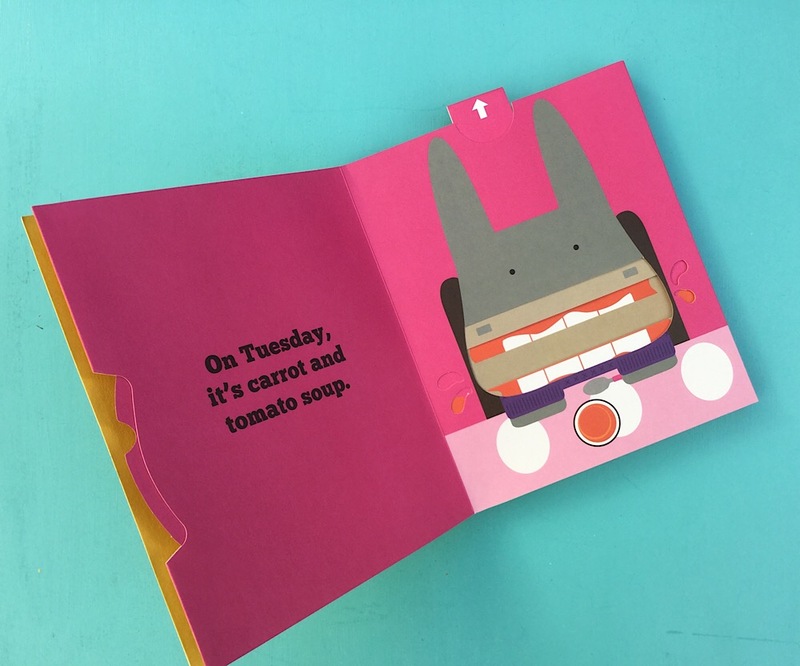 There is no shortage of interactive elements in this flip flap pop up book that introduces you to a tasty treat for each day of the week. Janik Coat illustrates each animal with their food through engaging graphic artwork with the clever pop ups, wheels, sliders or flap flaps created by the brilliant paper engineer, Bernard Duisit. In addition to language of food and days of the week, the multi directional pull tabs encourage vital early vocabulary such as: pull, push, forwards, backwards, up, down. This is a fabulous multi layered, interactive hotpot of learning fun!